London, UK. 22nd June, 2018. 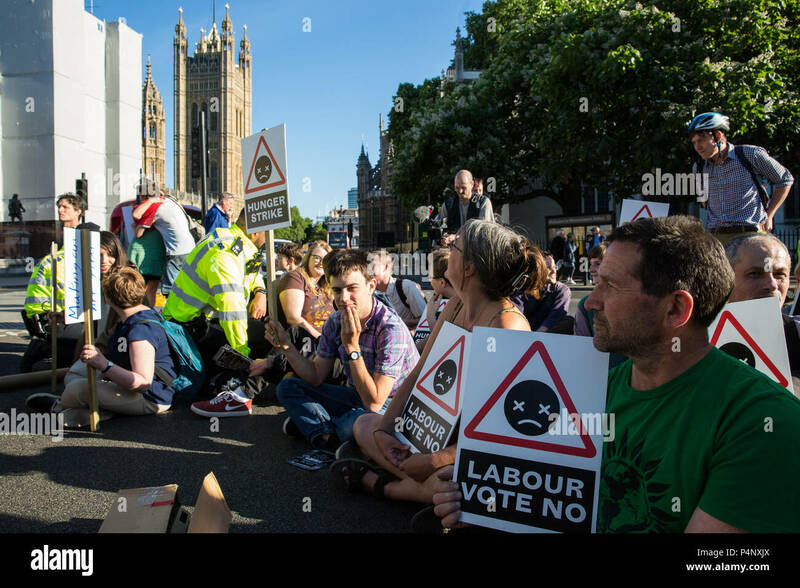 Campaigners from Vote No Heathrow, some of whom have been on hunger strike for 14 days, block the road in Parliament Square to protest against the Government’s plans to allow, and the lack of Labour opposition to, a third runway at Heathrow airport. A vote on the issue is to be held in the House of Commons on Monday and the campaigners have in particular been calling on the Labour Party to whip its MPs to oppose Heathrow expansion.